State-run Air India’s chairman and managing director Ashwani Lohani is in the race to be the next chairman of the Railway Board, said two railway ministry officials requesting anonymity. The current Railway Board chairman A.K. Mital’s term comes to an end in July 2016. “Apart from Lohani, member staff, Railway Board Pradeep Kumar is also in the fray for the chairman’s position. His name is being discussed as well,” said one of the officials quoted above. The development comes at a time when the national transporter is losing traffic, and freight and passenger revenue to roads and air routes. 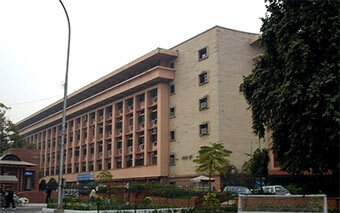 The incumbent chairman of the Railway Board, Mital, was appointed on 31 December 2014, according to a government statement. Prior to his appointment, Mital was member staff, Railway Board and ex-officio secretary to the government of India. The appointment of the Railway Board chairman is made through the Appointments Committee of the Cabinet (ACC), headed by the Prime Minister. Under the current norms, members of the Railway Board and general managers are eligible for the post of the chairman. Lohani, a 1958-born Indian Railway Service of Mechanical Engineering officer, is at the helm of the loss-making national air carrier which posted operational profits for the first time in a decade during 2015-16 since the merger of Air India and erstwhile Indian Airlines in 2007. He has also been credited with turning around the Madhya Pradesh Tourism Development Corporation and the India Tourism Development Corporation. Experts believe that appointing an outsider may help to revamp the Indian Railways. “The Indian Railway today is at a crossroad where it needs a transformational and visionary leader. It doesn’t make a difference if he is an outsider but he should disrupt the business model of the railways. At present, it has a lot of class system and is totally fragmented. There is no harmony within the railways, everyone works in isolation and the chairman of the Railway Board has become a figurative post,” said former Indian Railway Accounts Service officer Akhileshwar Sahay. Queries emailed to the spokespersons of the Prime Minister’s Office and the ministry of railways on 23 June remained unanswered. Also questions emailed to the office of the railway minister Suresh Prabhu and Lohani did not elicit any response. Interestingly, Lohani is the first railway services officer to head Air India succeeding Rohit Nandan, a 1982-batch Indian Administrative Service officer from the Uttar Pradesh cadre. The ACC had approved Lohani’s appointment on 20 August 2015.